sorry for the lack of updates in a bit. Real life and the real job have been killing me but I've been hard at work designing new 3d models and even have some ready to go to the caster. I'll be posting here later. I keep my facebook page updated a little more freqantly than my blog. The Griffin cam is ready for sale and I'm trying to get a website going. please hang in there with me. its been a bit scines I've posted and I apologize for that. My day job has been getting in the way quite a bit, though my sculpting and time has been limited, I've made the best out of what little time I've had. 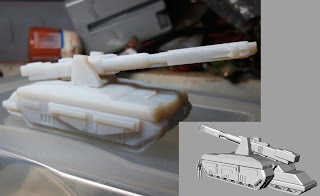 I've even been experimenting with resins to cast the vehicles and hopefully make them cheaper to manufacture and sale when I get to that point. I would like to share with you some of the new models I've been working on and would like to get some constructive feedback on them. This is the first resin cast of the prototype. As promised, the render of the infantry by my dear friend Jimbo. 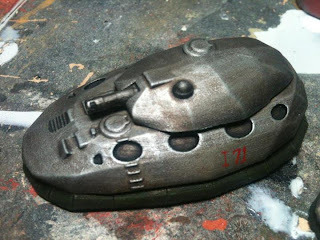 Eridani Federatiton Main Battle Tank. Silver Back assembled. Don't pay any attention to the paint in the background. 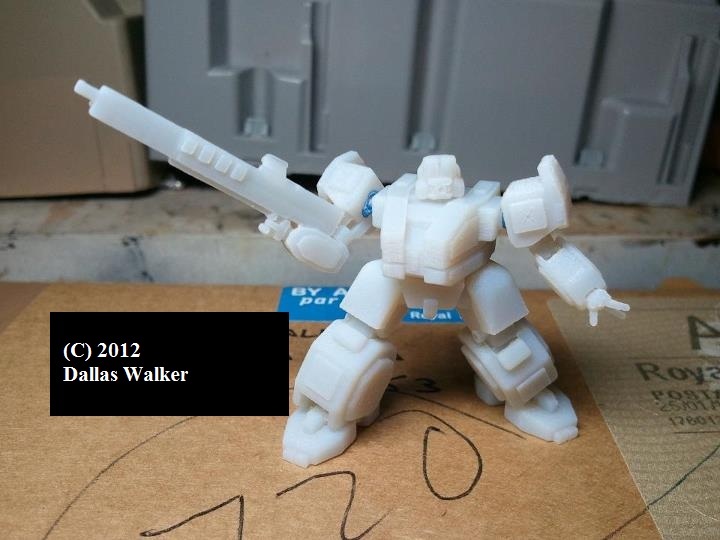 (C) 2012, Dallas Walker - Conflict Horizon. Some pictures of the other master models. The Coalition Hover Tank. 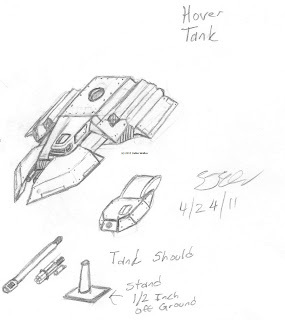 It has two turret weapons, missile pods, and a cap to goes on the top to make a transport version. Things are coming along nicely as the day’s fast approaching for the production Griffin CAM to go on sale. Not sure yet how to sale them as I'm trying to setup a website now. Other things have been happening. 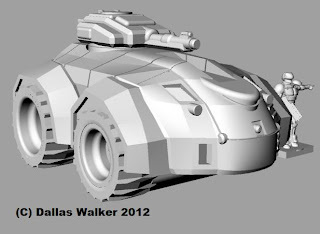 I’ve started cranking out new models for the vehicles and Infantry that populate the Conflict Horizon universe. I have loads of new miniatures ready for the printers and many more ready for the casters with money being the only thing slowing me down. 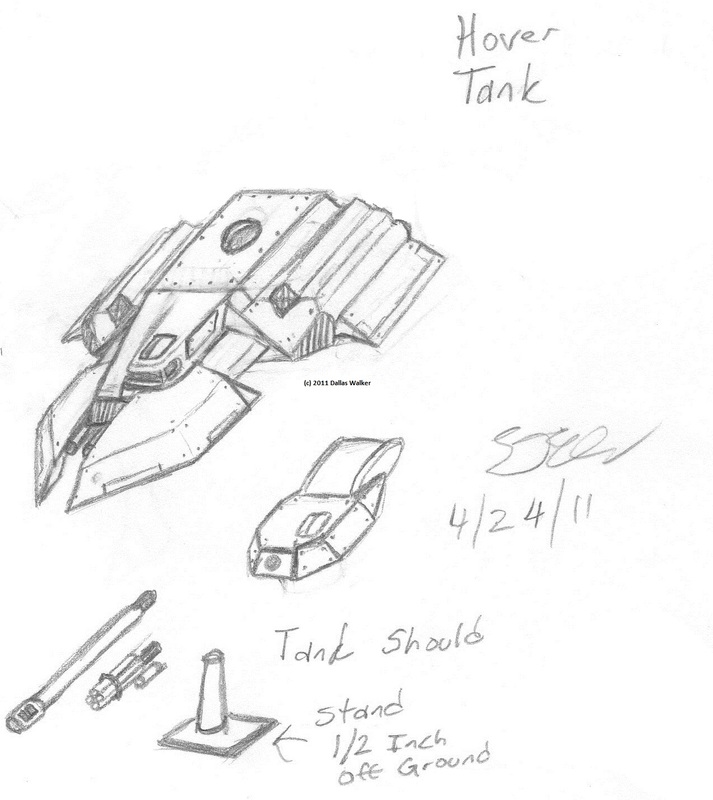 Tanks, Hovercraft, VTOLs, and Aircraft are all in the works also, hopefully giving a very complete view of the setting. Know that it will be a slow process (as you can most likely tell already) ;). I’ve had many emails about the miniatures which gives me great hope for the future of this game and company. The only thing I want is for the game and the universe to be as rewarding to you guys as it is for me making it. I’ve had lots of help from a lot of great people in my life, like John Ross and James Burrell. These two have really helped me get set in the right direction which allowed me to move forward with baby steps. I’ve learned a lot from James about 3D modeling and John has helped me a lot with parts. I just wanted to say these words so people could know what this game world is all about. I want to thank all you people that have come and visited my blog and hope that I can create something that will appeal to you, something that you’ll love as much as I do.